Glory to Jesus Christ! Glory to Ages! So goes the traditional greeting of the Carpatho-Russian or Rusyn people. Believe it or not, the “Christian” Austrians once tried to destroy these words, not to mention the Carpatho-Russians themselves. Rusyn itself is a term derived from a corruption of the ancient name for Russia - Rus', and the name was forced on many of these peoples by foreign occupiers, to destroy the Russian identity and divided the various Russian peoples in Ukraine, all of whom share ancestry from Rus. The Rusyn people, (Carpatho-Russians), are an ethnic group from Ukraine, Slovakia, and Poland, native to the Carpathian Mountains in Western Ukraine. For more about their history, check out this article. Perhaps more so than any other place, the Ukrainian Lands, and more particularly Western Ukraine, embodies the paradoxical nature of the Russian lands. It is a place of tall mountains and low valleys, of deep piety and unimaginable brutality, of suffering and joy, of heresy and Russian faith. It was on this battlefield, in the spiritual shadow of the Great Pochaev Lavra, where Russia fought with her western foes, and God fought with the devil in the hearts of the people. 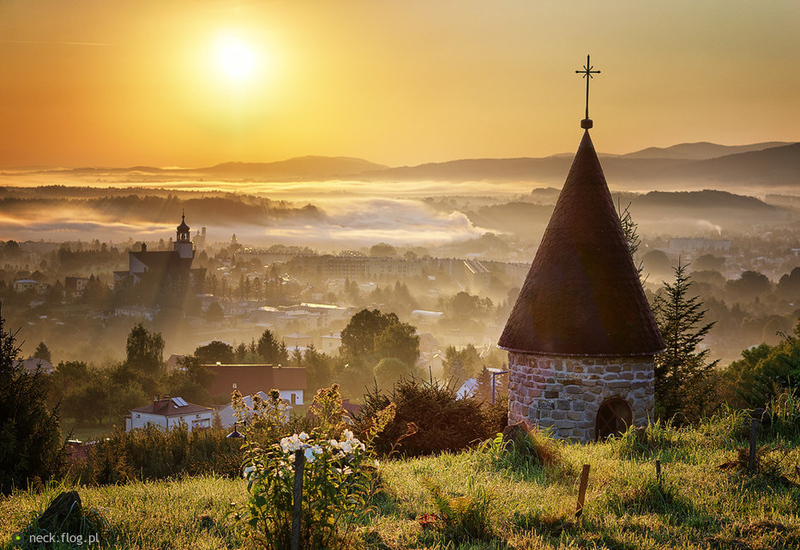 It was there, amidst the Carpathian Mountains, that Father Maxim Sandovich Gorlitsky (of the city of Gorlice) was born. His father, Timofey, was a Lemko (Carpatho-Russian tribe) farmer and psalmist in the local church, and his mother, Christina, was a housewife. He quickly developed a deep love for spirituality and found himself seeking to enter the seminary, though to find one was harder than you would think. Fr. Maxim's old church near his village, Zdynia, Gorlice Country, Lesser Poland Voivodeship. At that time, Ukraine was a borderland between the Russian World and the Western one. Indeed the word Ukraine not only means borderland, but the root word “krai”, is the Slavic equivalent of a Germanic mark or March (as in Denmark - mark of the Danes). It is a particularly tumultuous land on the border with unfriendly neighbors. Father Maxim was born in the edge of that borderland, in Austro-Hungarian occupied Galicia, in the region of old Halych-Volhyna. 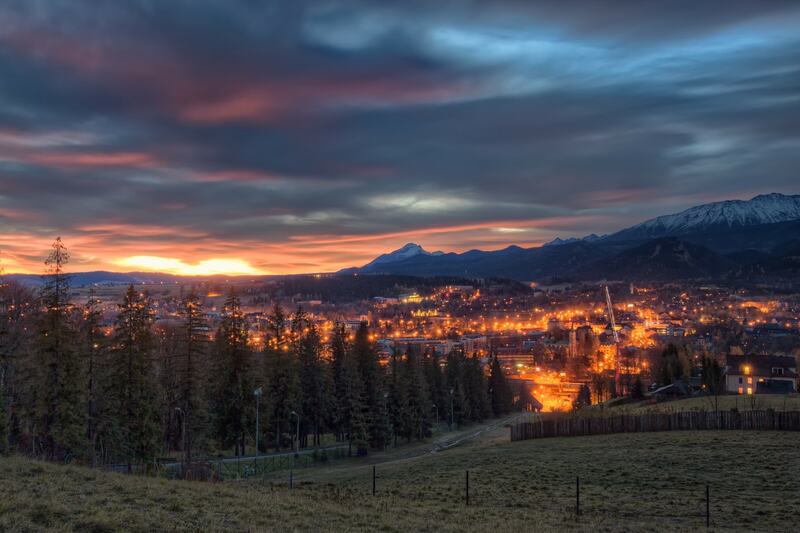 This land is sometimes called Ruthenia, which is Latin for Rus’, the old name for Russia, hence its children are called Rusyns. Whether you say Rusyn or Carpatho-Russian, it is important to understand you are expressing the same thing, these are Rus' peoples. The greatest conflict of the time was, as it has always been since the 17th century, the Unia, or the Union of Brest. The Union was an attempt by the Latin speaking elite to impose a pseudo-orthodox church almost identical in rituals to the Russian one, but subordinate to the power and influence of the Pope. This union was an attempt to divide families and destroy the Russian culture. The Austro-Hungarian empire carried on the insidious plot against the Russian people in the later years. In their way stood the Ruthenian People, the western Ukrainian Carpatho-Russians, known for their legendary piety, and chief among them would become Father Maxim. 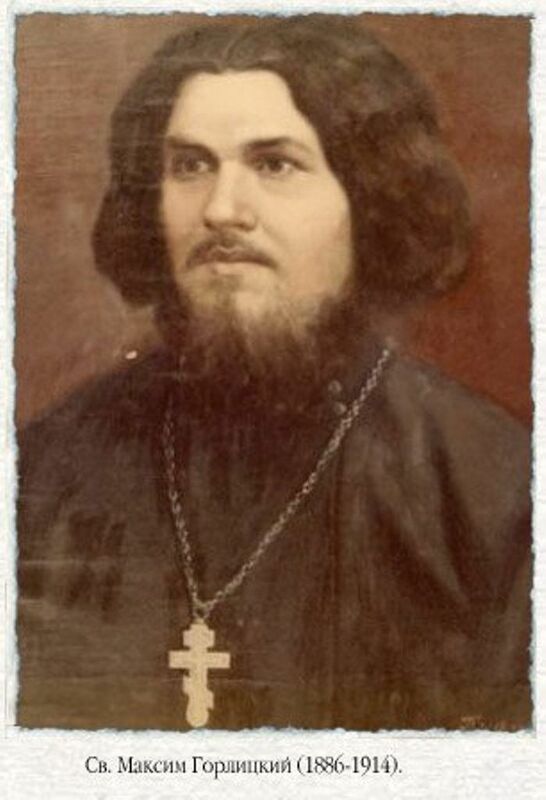 Father Maxim, however, is unique in a special way: He was born a Uniate. His family was party to the Union, though more out of habit, than strong conviction. By entering a seminary, Father Maxim had to choose between two worlds, the one he was born into (the Uniate one), and that of Holy Russia. He chose the World of God over habit and familial obligation, and crossed the border from Austrian-occupied Ukraine into Russia. The road went on forever, but he knew it was all worth it when he climbed the summit of the final hill, and saw before him Pochaev Lavra crowing the sacred hill like a holy white city descended from heaven. 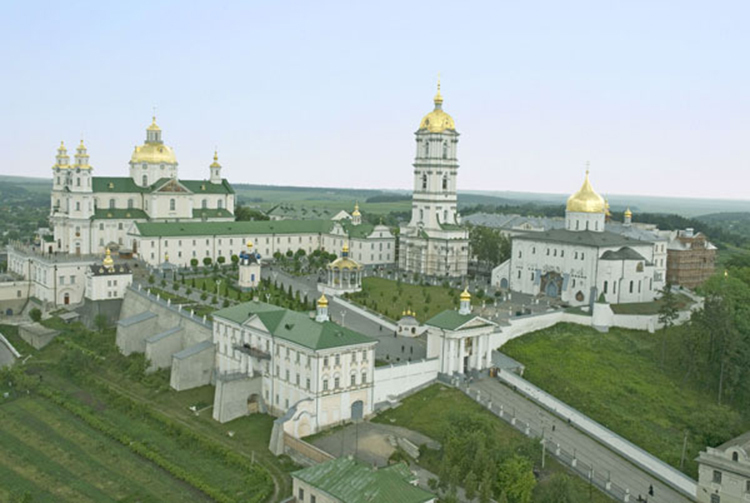 The great Monastery which marked Maxim's entry into Russian lands was, and remains to this day, a bastion of Russian Orthodoxy in Western Ukraine. It was always in the frontline of the conflict with the Uniates. It represented the struggle of Ukrainian people for the true faith. Though Maxim knew no one in Pochaev Lavra, soon the Archbishop of Zhytomyr and Volyn Anthony would see a spark inside Maksim, and accept him at the Zhytomyr seminary. After graduating with the highest marks in the class, and marrying Pelagia, the daughter of a priest, Fr. Maxim was ordained a priest by Archbishop Anthony. Though he was offered a job in Kiev, the Mother of Russian Cities, Father Maxim decided to return to his homeland, especially since more and more of his countrymen started returning Orthodoxy from the Union. He devoted himself to hard missionary work amongst his Lemko people. 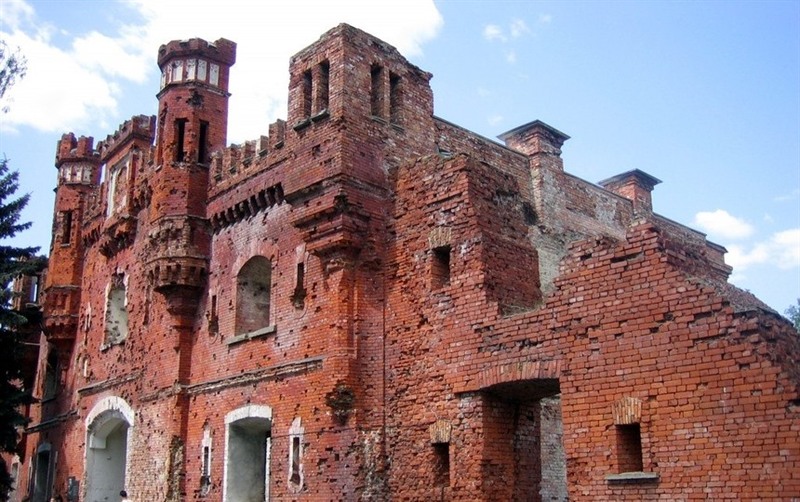 His service began in the village of Grab in Lemkovshchina “Land of the Lemko People”. To his unending joy, his people had decided to return to Orthodoxy. The previous priest was a Uniate who tried to remove the word “orthodox” from all books, and the people had enough of him. He was transferred to America, and in his place, Father Maxim came to restore the Orthodox traditions. Lemko women in Poland, make up one of the countries many Carpatho-Russian groups. On December 2, 1911, Father Maxim served his first Liturgy in the village of Grab. And so it was, that this day began a series of persecutions and sufferings which resulted in his martyrdom. He was soon arrested by the Austrians and ordered to pay a massive fine for serving as an Orthodox priest. After being released, he continued his missionary work to the ire of the authorities. Gradually, he became for his parishioners not only a Priest, but a friend. On December 22, 1911, the police closed the doors of his church in Grab, but this did not stop Father Maxim, and he continued to serve in private homes. A photo of Saint Maxim. He was finally released two years later at the start of WW1, though sadly, this was only the prelude to his ultimate act of suffering. He was imprisoned again as the Austrians began heavily persecuting Slavic peoples all across their lands. His relatives were arrested with him. including his pregnant wife, and they were imprisoned in Gorlice. Soon the wicked Austrians sentenced him to death without trial and for doing nothing other than being a man of God. On Sunday, September 6th, like a lamb, he was led to the slaughter as his family was made to watch. A German officer lined him against a wall and tore off his cross throwing it on the ground, and in doing so, blasphemed the Lord. Though Father Maxim was bound, he had no intention to flee as he was scourged and mocked in a Christ-like way. His people looked on with tears in their eyes, salt and water falling down their cheeks as the Austrians beat the gentle lamb of their village. Every blow to his broken body was a blow to the freedom of the Slavic peoples, who were suffering from Serbia to Ukraine under this Austrian yoke. Then, this martyr for the Holy Trinity was shot three times. Saint Maxim, Protomartyr of the Lemko People. The first time he cried out loudly, “Long Live the Russian People!”, the second time “Long Live Holy Russia and all Slavs”, and finally, right before his death, he cried “Long Live the Holy Orthodox Faith.” He fell against the wall, as his devastated family looked on. Though his parents struggled to remain still, his wife was lamenting bitterly, crying and refusing to be comforted. When he was finally killed by a shot to the head, and possibly being stabbed with a knife, the pregnant woman finally collapsed unconscious. Thus died a great martyr for the Orthodox Faith, his blood on the Austrian Empire and the Vatican. He was buried without ceremony, but his family miraculously survived, and they recovered his body, recognizing his shoes, and buried him. His wife had already given birth, and their son, named in honor of his father, became a priest as well. His people began to honor his memory immediately after his martyrdom. Against all odds, was the survival of the Lemko and Rusyn people, but like the Sandovich family, survive they did. The martyr’s grandson Mikhail Sandovich was a famous architect, and his descendant Vera Sandovich-Bonkovska supervises the Lemko Support Fund. In 1994 the Polish Orthodox Church canonized him a Hieromartyr, the first canonization in their independent history. Two years later, so did the Russian Church Abroad, and the Moscow Patriarchate. The relics of the saint are being kept in the Church of the Holy Trinity in Gorlice, where they were solemnly transferred in 2007. Try as the world did, from the Mongols and Turks to Hitler to eradicate them, the Slavic peoples are protected by God, and the blood of martyrs like Father Maxim. Holy Russia is covered in the blood of her Saints. This is something enemies like the Bolsheviks and the Austrians never understand, each martyrdom makes Russia stronger. The Slavic cause has not yet perished! There stand millions of martyrs of the Russian lands before the Throne of God, more martyrs than any other people. Their prayers and intercession is why evil will never prevail over Slavdom and Holy Russia. 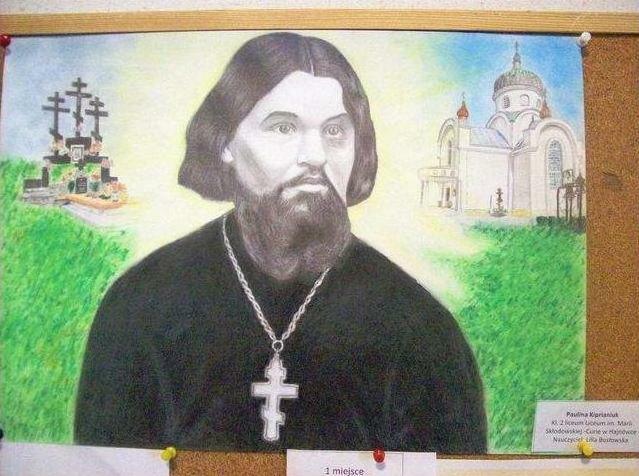 A drawing by Polish Church-School children. His martyrdom is a testimony to the world that the union of the Russian and Ukrainian peoples is indisputable in history, and sealed by blood. Though Father Sandovich’s life ended when his blood poured out, it poured out like water around a vineyard. From that vineyard, we can still see the fruits of his labor for which he gave his life. In his martyrdom, Russian and Ukrainians see the truth in the words “The Stone that which the builders rejected has become the cornerstone, this is the doing of the Lord and is marvelous in our eyes.” The death of Father Maxim, Protomartyr of the Lemko People, is not in vain, so long as the Russian Orthodox Faith is alive and well in Ukraine. To read more about Carpatho-Russians and Saint Maxim, check out this article!